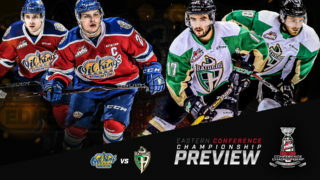 RAIDER REVIEW: The Raiders (6-0-0-0) continue their Central Division road trip tonight against the Lethbridge Hurricanes (2-2-0-0) at the Enmax Centre. 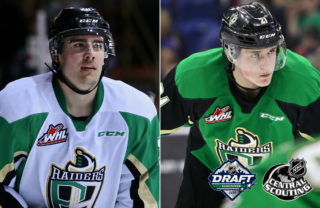 On Wednesday, the Raiders opened the road trip with a 5-1 win over the Medicine Hat Tigers. Max Martin led the way offensively with two goals and an assist. Spencer Moe, Parker Kelly, and Brett Leason also found the back of the net. Ian Scott picked up his fifth win of the year with a 25-save performance. VS. LETHBRIDGE: Tonight marks the first game of the season between the Raiders and the Hurricanes. The Raiders have won three straight games over the Hurricanes, finishing last season with a 3-1 record against Lethbridge. 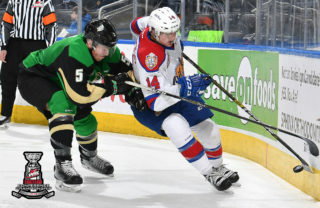 GETTING RANKED: The Raiders’ start to the season got them noticed by the Canadian Hockey League this week, earning the fourth spot on this week’s edition of the Kia CHL Top 10. Tonight is a marquee matchup for the national rankings as the Hurricanes were the third ranked team in Wednesday’s list. SAPEGO STREAKING: Sergei Sapego continues to fill up the stat sheet through the first six games of the season. The Belarusian blueliner has a point in every game so far this year and owns a seven-game point streak that dates back to last season. This year, Sapego has two goals and five assists through six games and is tied for third in team scoring. MULTI-MARTN: Max Martin recorded the first multi-goal performance and three-point night of his career on Wednesday in Medicine Hat. The Winnipeg product’s three goals on the season have him tied for second on the team. With three assists, Martin is fifth in team scoring with six points on the year. 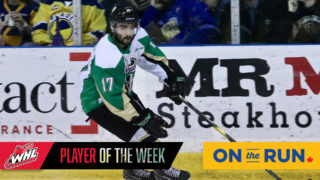 MAKING HIS DEBUT: Noah Gregor made quite the impression in his Raiders debut on Wednesday, picking up two assists in the Green and Gold. STARTING OUT STRONG: The Raiders have been able to get the jump on their opponents for most of the season. 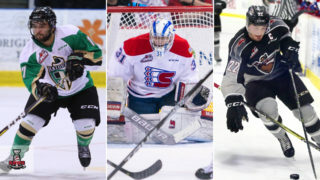 Including Wednesday night, Prince Albert has scored first in five of its first six games. NEXT UP: The Raiders head to Red Deer tomorrow night to faceoff against the Rebels (4-2-0-0) at the Enmax Centrium. Game time is 7 p.m. 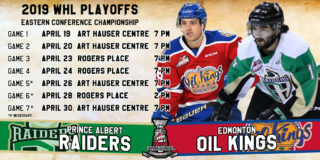 The next Raiders’ home game is on Saturday, October 13 against the Red Deer Rebels on Parker Kelly Bobblehead Night Presented By Canadian Tire. Puck drop is 7 PM. Tickets are available at raiderhockey.com.